Discover our fantastic selection of Brownies Recipes and Baking Ideas all written by our expert professional chefs at L'atelier des Chefs, based in London. Mini chocolate brownies with a whole cherry in the centre. 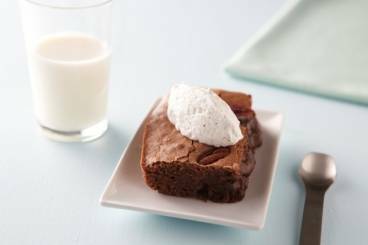 A quick, easy and delicious recipe for pecan nut brownies with a gooey centre served with a rich hot chocolate sauce. 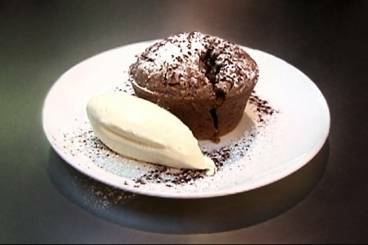 Gooey centred brownies with a little hint of spice - a dark chocolate and black pepper dessert served with a pistachio chantilly cream. Melt in the mouth chocolate brownies with a morello cherry in the centre. A deliciously decadent brownie made with Toblerone chocolate, cocoa and pecan nuts. A set pistachio cream served on a chocolate and pecan brownie base and topped with griottine cherries. 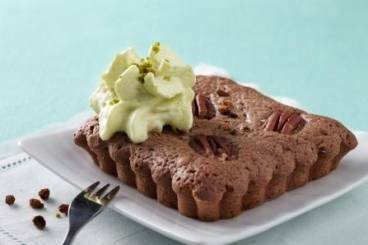 A chocolate and pecan nut brownie with a gooey centre served with a vanilla flavoured whipped cream. 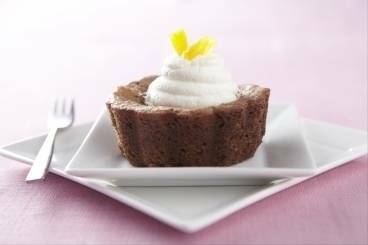 Chocolate brownies with a gooey centre made with fresh orange and served with a rose water cream. Decadent, melt in the mouth gooey chocolate brownies... delicious with a scoop of vanilla ice cream or just as a tea time snack!